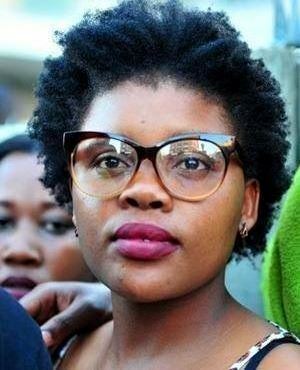 A Walter Sisulu University student appeared in the East London Magistrate's Court on Tuesday after she accidentally got an incredible R14.1-million from the National Student Financial Aid Scheme (NSFAS). Sibongile Mani‚ 28‚ was busted Tuesday morning by the Serious Commercial Crimes Unit after she was requested to hand herself over at the Hawks' Eastern Cape provincial office in East London. It is claimed that amid June last year‚ Mani unlawfully got millions from NSFAS‚ spending just over R810‚000 on personal things over duration of three months. Three months after she was paid out‚ the peculiarity was distinguished by the scheme. The organization entrusted with the administration of NSFAS's food and book allowances‚ IntelliMali‚ demonstrated at the time that they would lay charges. From June 1, 2017‚ when the money from NSFAS erroneously arrived in her account‚ Mani‚ a 2nd year accountancy student‚ spent an average of R11‚000 a day. When the blunder was detected‚ she had changed herself and her companions into fashionable women‚ donning costly weaves‚ carrying iPhone 7 cellphones‚ slugging back shots of R700-a-bottle whisky and imitating their music idols‚ particularly Beyoncé. Mani's political rivals – members of the SA Students Congress – grew suspicious after she experienced a change and let the truth out. In August last year‚ Samkelo Mqhayi‚ deputy branch secretary of Sasco and SRC student support officer‚ said he was the person who outed Mani‚ who was a branch secretary of Pasma‚ the student wing of the PAC. Mqhayi said that doubts became after a receipt from Spar was leaked showing a balance of just over R13.6-million. Mani was released on a warning and is expected to appear in court again on July 2.